Below are given a portion of the recollections of Bessie Vyborny, daughter of Josef (*1828) Vyborny, the first mayor of Tabor South Dakota as told to a daughter or granddaughter. It contains genealogical information at odds with what has been presented at the Web site (see also the discussion below). Stories such as this often contain a grain of truth, but its present significance is not known. Grandmother Bessie's main recollections are of those of her immigrant mother and family and their lives on the Great Plains. The text was uncovered by Dr. Eugene Wyborney who studied the genealogy of the Great Plain Vyborny's. The text revised by Leigh Wyborny. The comments added to it denoted by italics. Maria [Bessie] Vyborny was born in Radovensnice [Radovesnice], Bohemia, December 9  near Prague. Her father was Joseph Vyborny and her mother was Elizabeth Simon. Joseph Vyborny's old home was in Osek Bohemia. Vyborny's are an old old Vyborny family of Osek where one of the Vyborny forefathers was knighted. One can trace the family 500 years where one Vyborny was knighted by King George of Podebrad, the only Protestant Bohemian King and his reign was the golden era in Bohemia. A Democratic King. The Vyborny ancestors were freemen when everyone else were Serfs. In 1618 Bohemia lost her independence. All the people became Serfs and in 1848 they became free but had to pay for their freedom. The Vyborny's were among the freemen (always free before Bohemia was lost) and they were knighted around 1500. The old Vyborny family lived on the old homestead near Kolin for hundreds of years (Obzerstvya [?] Village). and was there in the revolution in 1848. He escaped (16 years old). He was with another student in the escape. The student with Joseph Vyborny was shot and they thought Joseph was killed. That was the way he got away even after searching for him. Joseph Vyborny's brother Matej Vyborny was a Professor in the University of Prague (Auntie Cladek). His son was a Catholic Professor in a Catholic college and became a Vicar. That is next to a Bishop in Prague. Joseph Vyborny's father was from an old Hussite family. (Jano Huss, 1369-1415, Bohemian religious reformer and martyrs did not believe in going through the priest). The family felt terrible about him becoming A Vicar. The monument of Jan Hus, Prague. Grandma Vyborny was born in Bohemia before it became under the rule of Austria. Feeling the weight of the Austrian and German yoke, her father planned to give up the old home and association and migrate to that new free country they had heard so much about. Milton Vyborny, Joseph's father had a farm. His wife and daughter lived six miles south of Petersburg [Milton Wyborney is the eldest son of Vaclav (Henry) Wyborny]. Vaclav Vyborny, after Civil war bought a farm 14 miles from Petersburg, Virginia but he moved west, first to Verdigre, Nebraska. From there he went to State of Washington, to his son Charles close to Spokane Falls, Washington, where he died. [Vaclav spelled his name Wyborny however his descendents spelled it Wyborney]. Vratislav, Frank, and Jano (John) lived in Mitchell, Iowa. Maria Vyborny lived there with them and taught school there and two years later, she and her parents migrated from cousins home in covered wagons, and after weeks of blazing the wild prairie trails they landed in the southeastern part of South Dakota. Her father filed on government land, thirty miles from Yankton, then the only town in that wilderness and capitol of territory comprising of North and South Dakota, Wyoming, Montana and Minnesota. [At the present time there is no other evidence that Josef's (*1828) family lived with Jan's (*1811) family. There is evidence that Josef's family lived at Ely, Iowa nearly 200 miles away. If Maria taught school near Mitchell, Iowa it was probably some years after moving to South Dakota. Vratislav is also referred to as Bradek. They also had a brother John who also lived in Iowa]. Logs were hauled from many miles from the Missouri River. With these they built a large house. They plowed the raw prairies into fields. One year they reaped a bountiful harvests next year their fields of grain and corn would be entirely eaten by grasshoppers. Then there would be droughts to ruin their crops, or an early frost would freeze the ripened grain. But still all these prosperous and many lean years they labored on and her old home now is one of the beautiful modern farms. The country to which she came was a vast trackless prairies roamed over by the Sioux Indians, wild buffaloes, now the country is thickly settled with modern farms, trees, orchards and gardens. As a young girl she like other pioneer girls went into town to work or to teach in schools. In 1874-75, she worked in Yankton Agency, Charles Mix County of the Missouri River 40 miles from Yankton. She worked for a Major who was an Indian agent. While living in Yankton, Maria remembers General Custer and his army camping there and how the poor soldiers unused to the cold climate suffered greatly. They day they were leaving on their last march to Montana, they marched through the town. In 1876 her father Joseph Vyborny, traveled in covered wagon to the Black Hills in the time of the big gold rush. He was one of the first men on the site where Deadwood & Leeds is now located. He had raised wheat and made flour which was very scarce in this part of the country. People who had found gold, traded it for the flour. 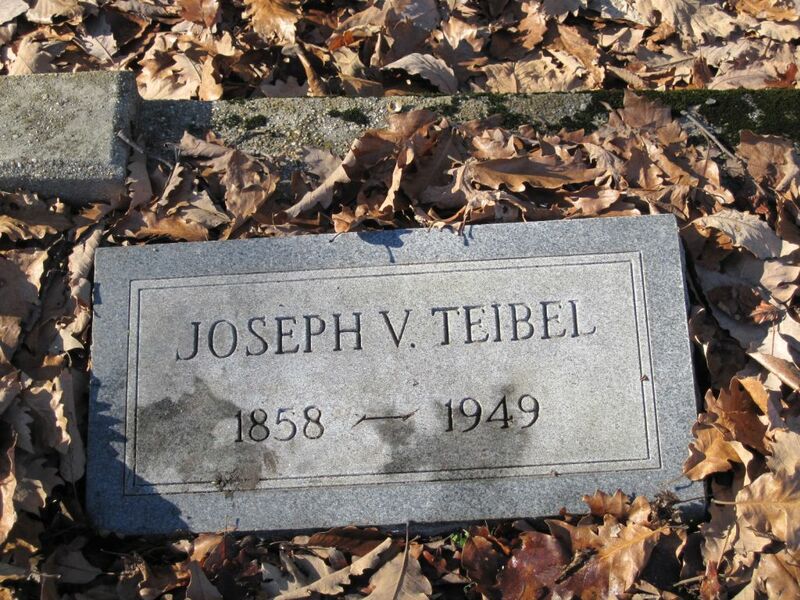 In Yankton Maria married Joseph Teibel in 1878. They were neighbors to the Teibels. She was a woman of high ideals, literary taste, strong character the quality of character that makes a pioneer woman's career a mark in history. She braved many a hard year, in building up a farm and home and her help to man in building up the towns and the state. 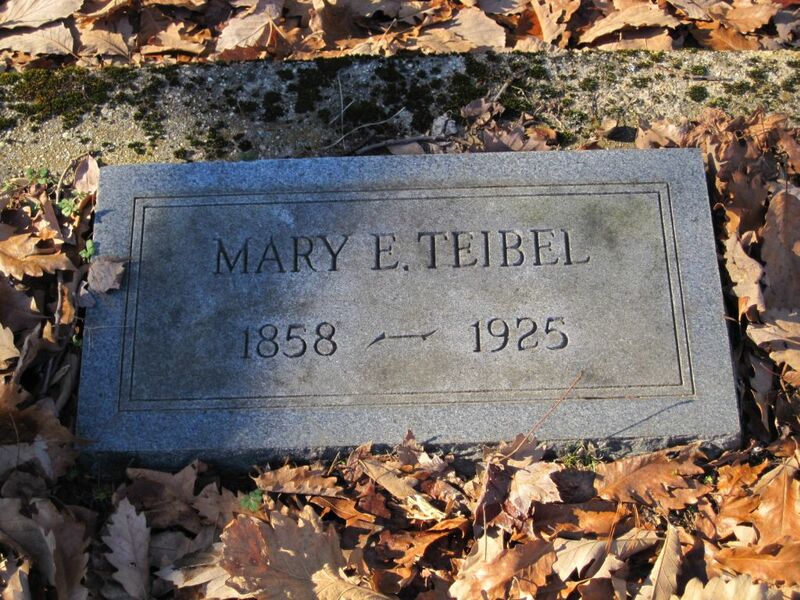 After a life full of usefulness and adventures she passed away on July 29, 1924. Joseph Teibel saw the Vyborny seal in Dakota in 1874 and hasn't seen it since. Joseph Vyborny's brother Vratislav, lived in Dakota a year and then went to Iowa and he thinks he had the seal. [Vratislav referred to here is actually Joseph Vyborny's (*1828) uncle Jan Wyborny (*1811)]. 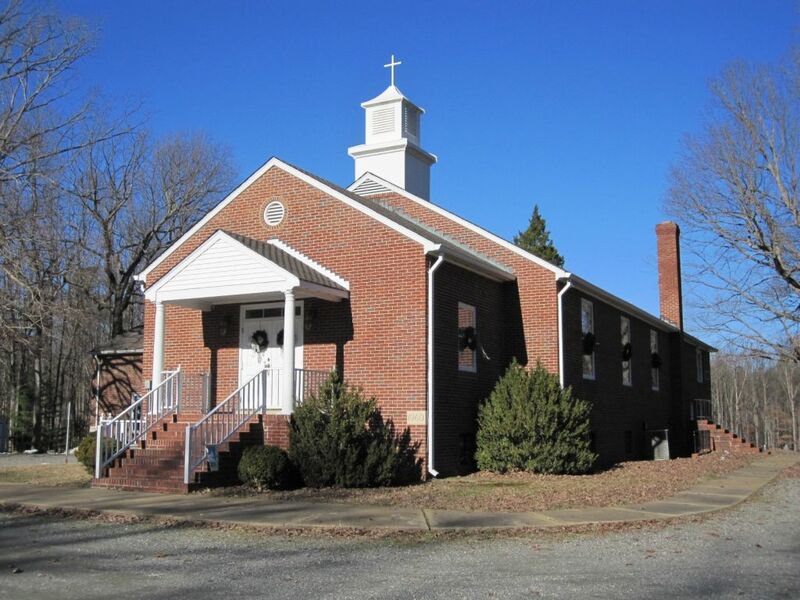 Left - the Forest Grove United Methodist Church, middle - the headstone of Maria Bessie Vyborny, right - the headstone of Joseph V. Teibel. Click on to enlarge the pictures. Photos courtesy Bruce Vlk. 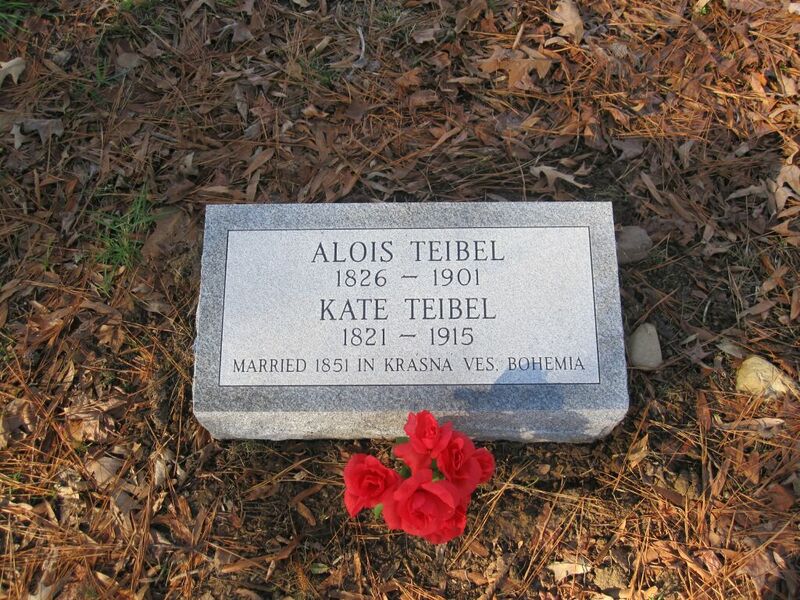 In the fall of 2011, Bruce Vlk, Mary Uhrich Zahradka, Emily Uhrich Cerny, and Bill Uhrich (descendants of Alois and Katerina (Repsova) Teibel) located the grave site of Alois and Katerina (Repsova) Teibel on the old Uhrich farm near Hopewell, Virginia. 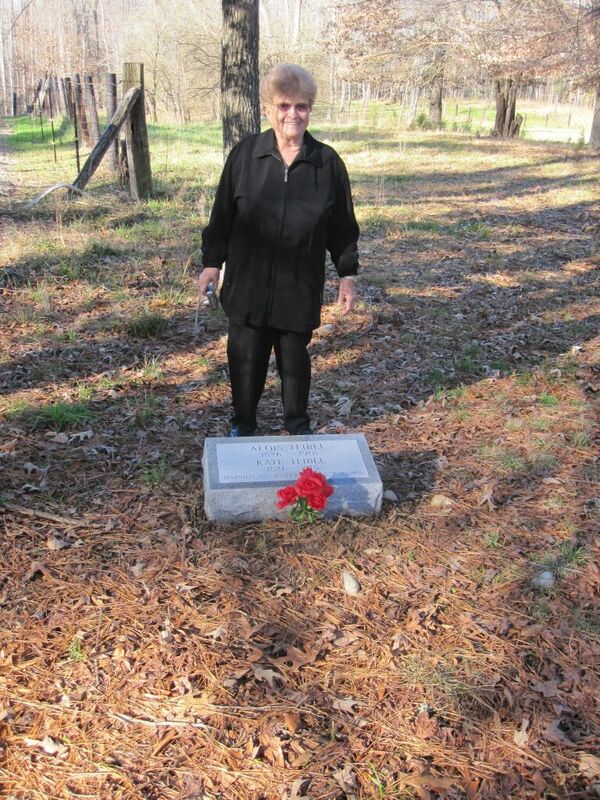 They purchased the above marker, placed it at the grave site, and the above picture was taken December 26, 2011 by Bruce Vlk. The difficulties and vagaries of life on the Great Plains at the end of the nineteenth century come through clearly as does the fortitude of those who overcame them. Recent archive searches indicate the first two paragraphs of the text of Bessie's story refer partly to the early ancestors of the Zert family. The maiden name of Katerina, the mother of Josef(*1828), was Zert. Also the transcription of the name of locality of Jan Zert's farmstead ( Bristvi #18 which is adjacent to Krechor village) is referred to as "Obzerstvya Village" in the story. As a whole the story seems to be based on real facts. Also the trauma inflicted on the Czech people by their defeat at the Battle of White Mountain in 1618 is based on historical fact. It would be helpful to compare data (personal names, dates, names of localities, etc.) given in the present recollections to the data available in Czech archives. This has not yet been done completely so far [see also the archive document page]. (4) of the webpage presenting the biography of Jan(*1811) including the next part of it. Even such limited informatin showed clearly, that despite certain distortions (caused by the long period of time passed since those events, etc) it is still possible to discover certain common data even from quite different individual information sources. This comparison does show a certain "information noise" that is not uncommon even when taking into account such highly reliable information sources as archive data, etc. This need not preclude a final solution of the study, however.